It’s one of those times, when you just need the right album to complete the mood. Make the wrong choice, and the spell is broken and it’s just another night. Get it right… you’ll remember it for years, and smile to yourself when you remember just how perfect it was. 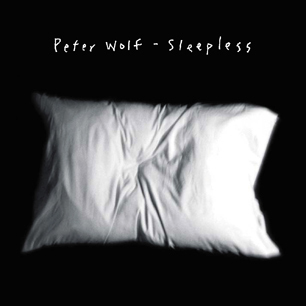 Choose Sleepless by Peter Wolf, and that perfect night is guaranteed. Peter Wolf has been in the music business since the late 1960s, perhaps most famously as the singer for the J Geils Band in the 70s and 80s – if you’ve ever drunkenly sung along to Angel Is A Centerfold (and if you claim you haven’t, your a liar, we all have) then you’ll have heard his vocals. Sleepless was released to little fanfare in 2002 but it’s worth a lot more publicity. Wolf’s breathy vocals, so relaxed they’re almost spoken at times, sit on top of warm melodies, delicate harmonies and laid-back blues. Featuring contributions from luminaries such as Steve Earle, Keith Richards and Mick Jagger, Wolf hasn’t been afraid to utilise the people in his little black book. The record’s stand-out track for me is Nothing But The Wheel. Jagger’s soaring backing vocals seem to provoke Wolf’s own vocals into even higher gear; sounding at times like a Stones classic, then veering left into full-on country (complete with fiddle and pedal steel solo) this is a song that’s hard to pin down in one place. It’s perhaps strange to hear that familiar Jagger twang as a backing vocal, but it works. Jagger’s partner in crime, Keith Richards adds his guitar to the jagged harmonica and driving piano that powers the bluesy Too Close Together, another track that lifts itself from the rest of the pack. “This is a story about being double parked on the highway of love” intones Wolf, straight faced, in the intro. Wolf comes across as a man who knows exactly how he wants things done, as each track has a unique feel to it. One minute, you feel like you’re wandered into Bob Dylan’s back catalogue, the next you’re feeling that classic Stax soul vibe, and when you get used to that? The next track can lurch almost into Northern Soul, and all the way back to straight pop, and everywhere in between. It’s an easy listen, tracks like Never Like This Before, with it’s classic soul female backing vocal and brass section coming and going in the blink of an eye. Every track is carefully moulded, shaped by Wolf’s flawless vocal delivery and fearlessness. It’s by no means a rock record to get down and boogie too, but your toes will tap, and there’ll be a smile on your face all through it. Essentially, Sleepless is a rock record at it’s very heart, but it’s layered with so much more soul that it lifts it above and beyond that. If ever an album conjures up images of a bunch of guys locked in a studio with Cuban cigars, a crate of beers and a hankering for a good time, then this is it. I honestly can’t sing the praises of this unique record enough. I stumbled on to it completely by accident, hopefully you’ll enjoy it as much as I have.